Edmonton's monthly subscription box for food lovers! - 1 Meuwly's signature condiment (Mustards, Specialty Ketchup, BBQ Sauces, Dressings, Chutneys, etc) typically a 250 mL jar, but portion sizes vary per item. 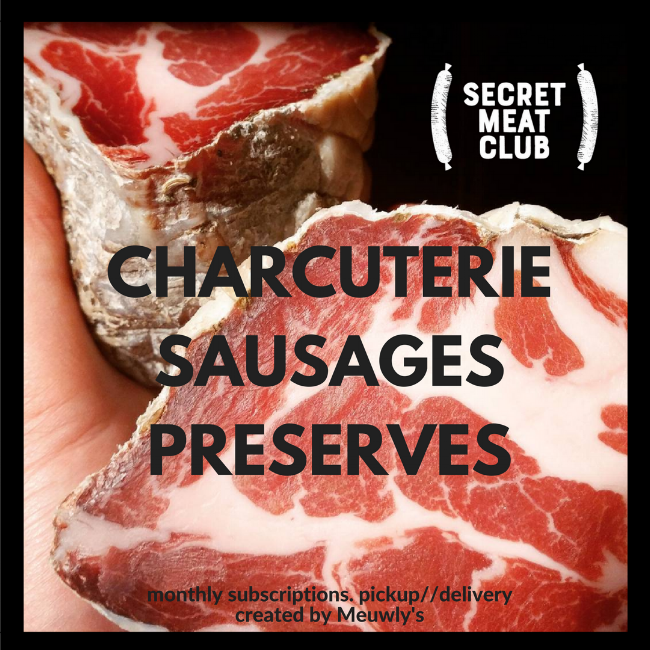 To cancel your subscription, please fill out this form or send us an email to info@secretmeatclub.com. We will take you off the list for the next month.